I just read an interesting article titled “A Letter To Ghanaians In The Diaspora: A Rant” by Nanama Boatemaa Acheampong. It is an interesting post and it has some truths to it. Nanaama clearly stated it was a rant, so my expectations were set before I read it. I was not surprised by her rants, because it seems to be the general consensus of most Ghanaians against Ghanaians in the Diaspora. Before you read my response below, I suggest you click on her link and read her post. You will like it because there is some truths to it. Dear Nanaama, first of all, I want to thank you for your rant. It places things in perspective – but I suggest you do the due diligence to understand things from a greater point of view before you rant. Yes, I am a Ghanaian in the diaspora and for the past 12 months, I have been to Ghana twice. I am the kind of guy who likes to dress comfortably over the summer here in the states – with my T-Shirt, shorts and slippers (or sometimes my loafers or sperry’s) coupled with my wrist beads and African necklace and whenever I am in Ghana, I wear similar outfits. I have had Ghanaians in Ghana say “Oh, isn’t he from the U.S? Why is he dressed so normal like this? My answer is simple: I do what is comfortable for me and I do not try to impress anyone in Ghana or in the States. Believe me or not, there are a lot of Ghanaians in the diaspora who have this mindset of not trying to impress anyone. Not every Ghanaian in the diaspora is a “show boy or show girl” when they come to Ghana. Not every Ghanaian in the diaspora is looking to impress anyone in Ghana. I am just a simply young Ghanaian man, who just graduated from Penn State 3 years ago and working now. My life is simple: I have my little car and my little apartment with some of my toys like the XboxOne and other stuff and I’ll never flaunt to any Ghanaian as if I live with Obama in the White House. I cut my coat according to my size and with time, I will get to where I need to or want to be – and yes a lot of Ghanaians in the diaspora are also living like this. I’m sorry to hear that you lived in a “match box” when you visited your auntie. Well, that’s what they had. Maybe instead of you ridiculing it, you should appreciate it. They actually gave you a place to lay your head. In your letter, they obviously did their best to set your expectations during your ride to their place from the airport. They did that possibly because they knew you were living large in Ghana and didn’t want you to be disappointed. But you were still disappointed like a brat and instead of appreciating it, you proudly wrote about it and rudely exposed their humble lifestyle – I bet you they didn’t ask you to preach to the world about their tiny home. If you care to know, historically, houses have always been small in the UK. The rich or poor live in small houses and even compared to the States, their food portions are also small. Sometimes it is cultural and sometimes it is simply the economic situation of the people you will be living with. If you don’t want to live at a small place in London on your next vacation, I suggest you carry your mansion the next time you visit or better yet, stay in Ghana and enjoy your vacation. You are saying Ghanaians in the diaspora complain about the weather when they visit Ghana, well shoot! It is hot. We complain here when we get extreme temperatures over the summer and the winter. We are humans and humans complain. We do not complain in Ghana to get your attention or to beg for your sympathy – we simply complain just the same way you do. Yes, it is expected that Ghana will be hot, but in life, you do not always get what you expect. Whenever I get ready to visit Ghana, it is always in my subconscious that it will be hot, but I still sweat like a dog when I get there. My expectations do not change the temperature from hot to cold. Yesterday was the first day of Fall here in the States and I expected it to be cold but it was freezing. When I started to freeze, I called up one of my friends to complain – this is life. Ghanaians living in the diaspora do not complain to get anyone’s attention when they come to Ghana. We complain simply because we are stating facts – sometimes we are simply exaggerating and being a little dramatic. Oh and by the way, before you point your finger at others just look at your own life: you are the same person who complained about the weather in UK during your visit in your post. So it is okay for you to complain when you visit, but it is never okay for us to do the same? Perfect. I get it. Concerning politics, we are not saying Ghanaians are too blind to see their problems, but let’s call a spade for what it is and for once let’s accept the truth: we (Ghanaians) do not hold our government accountable. You are right, we should come down and help if we are going to give our two cents, but you have forgotten that some Ghanaians also have families here as well and will not just get up to fight the incompetence of Ghanaian leadership. Unless you have a fat bank account (and I’m talking about millions of dollars), you won’t risk it. Also, we all know that Ghanaians will not just sit and watch a Ghanaian in the diaspora come and make positive changes simply because “he did not live in Ghana”. You are the same people who ignore the help of others try to come back home to help – we hear you say, “what is he doing here? he thinks he knows better than us? he did not live here but wants to come here and make a change?”. You are the same people who push people away when they are trying to help. You forget to understand that for any positive change to be administered or be effective, it starts with a grass root – so when we give our two cents, it is ONLY our two cents. You can simply take it or leave it. A corrupt society does not benefit anyone but people with buying power; and for the people overseas, so long as they are working hard and have more buying power than a majority of Ghanaians, then a corrupt Ghana will benefit them and not necessarily some of the people in Ghana who are working only to make ends meet – so if someone in the diaspora is just giving their two cents, then it should tell you that they simply care. Do not overlook this as arrogance. An arrogant person will not care and continue to live their life. Whenever I’m in Ghana, I speak twi. Yes, my family members make fun of my Twi, but I see no difference in what I am speaking and what they are speaking. I speak it because it is my language whether it is good or not. I do not try to “brofolize” anything to impress anyone. Do you realize that the Dadabee’s like you are the ones who are always trying to speak English to us when we are in Ghana? In your own country, you avoid speaking your own dialect – then we become the criminals for responding to you in English with an accent we have developed overseas. Have you realized that YOU are the same people who try to talk with a British Accent and American Accent? You actually try to force it. Have you realized that YOU are the same people who are so pressed to pick up on American or British lingos? But then you turn the tables and blame us when we connect with you on that level and communicate with you. I per-se do not need to speak English to prove to you that I have an American accent. It is a language and nothing more. Yes, your post may contain some valid points, but you sound like the “angry little sister” with all this rant because NOT ALL GHANAIANS IN THE DIASPORA ARE EXACTLY WHAT YOU HAVE MENTIONED. People are different. Some might fit the bill, but not all – so do not write a letter to ALL of us when you want to address the select few of people you know. You have a problem with them, tell them to their face when they come to Ghana. Laughing behind their back and talking behind their back won’t alleviate the problem. 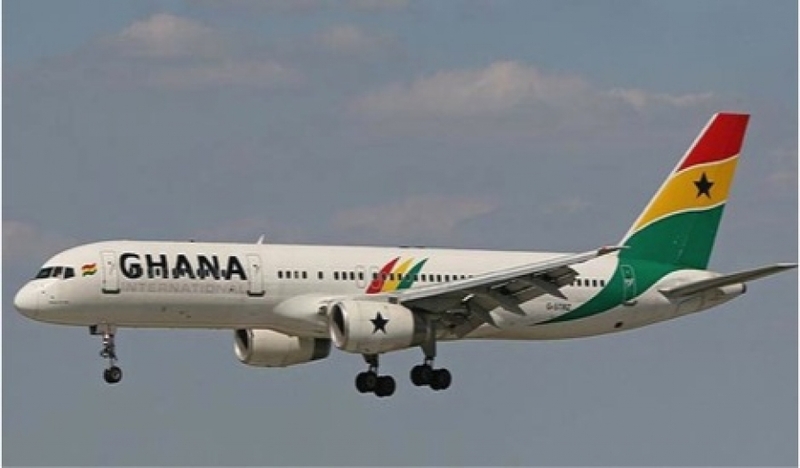 When people travel they pick up different traits, different cultures and different habits, so do not be naive to quickly point out the prick in the eye of your beloved Ghanaians in the diaspora while you have a huge log in yours. SOME Ghanaians in the diaspora match exactly what you have described in your post, but please do not place ALL of us in your “auntie’s matchbox” – like you said, it is too small for us all to fit.